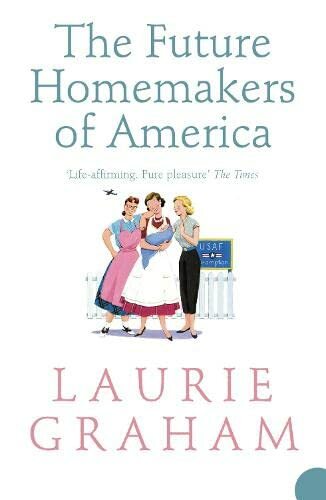 Filled with warmth, wit and wisdom, ‘The Future Homemakers of America’ takes us to the heart of female friendship. A novel fans of ‘Divine Secrets of the Ya-Ya Sisterhood’ will not be able to resist. Norfolk,1953. The Fens have never seen anything quite like the girls from USAF Drampton. Overpaid, overfed and over here. While their men patrol the skies keeping the Soviets at bay, some are content to live the life of the Future Homemakers of America – clipping coupons, cooking chicken pot pie – but other start to stray, looking for a little native excitement beyond the perimeter fence. Out there in the freezing fens they meet Kath Pharaoh, a tough but warm Englishwoman. Bonds are forged, uniting the women in friendship that will survive distant postings, and the passage of forty years.